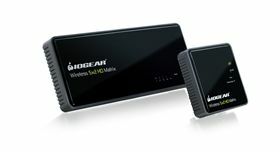 Simultaneously transmit HD content wirelessly to 4 displays while viewing different HD content on a 5th local display. 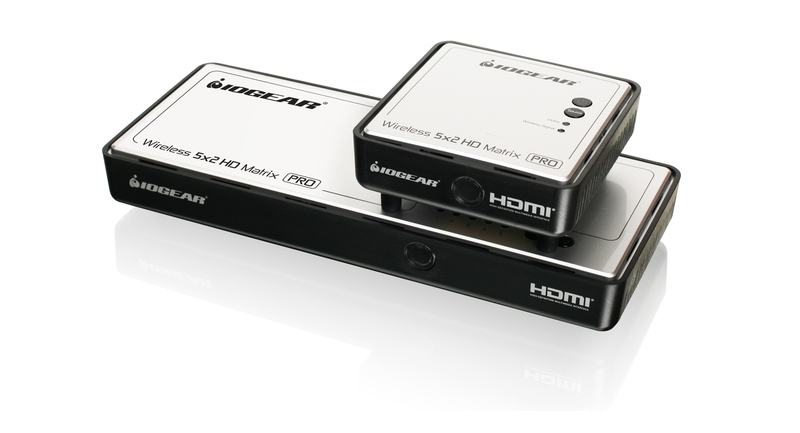 Simultaneously transmit HD content wirelessly to 4 displays while viewing different HD content on a 5th local display. IOGEAR's Long Range Wireless 5x2 HDMI Matrix PRO with Multicast is the first of its kind to wirelessly send uncompressed Full HD 1080p with support for 3D content up to an astonishing 200 feet*, including the ability of multicasting up to a total of 4 wireless HDMI receivers. The Long Range Wireless 5x2 HDMI Matrix PRO is setting a new standard in wireless connectivity, flexibility, convenience and decor. 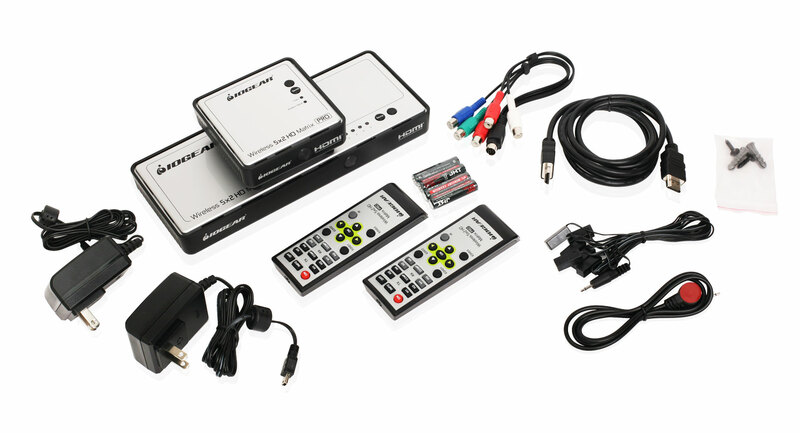 Natively, the kit consists of a Transmitter with connections for HDMI and Component (5-port switch / matrix) and a Wireless Receiver. It also provides a loop through (local port) on the transmitter for an advanced 2 HDTV set up. The wireless matrix feature allows a user to switch and independently select any of the 5 sources between 2 HDTVs, creating 2 completely different video zones, making this one of the biggest breakthroughs in wireless A/V solutions available today. 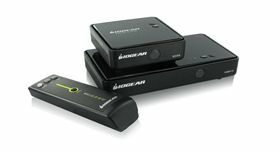 IOGEAR's Long Range Wireless 5 x 2 HDMI Matrix PRO is an easy, affordable and reliable wireless A/V solution for any place that requires a multi-display installation. 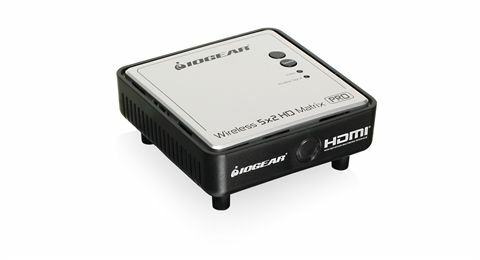 This HD wireless matrix is ideal within the home, retail environments, lobbies, offices, commercial settings, schools or classrooms, houses of worship, and in entertainment venues. Other applications include any retrofitting projects where demolition or running wires is not an option or becomes too expensive. 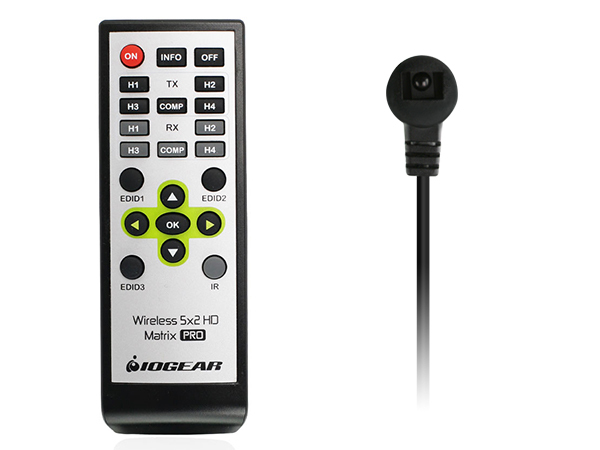 When you are at home, you can watch cable TV in the living room while the bedroom independently selects a Blu-ray® movie to watch wirelessly at the same time. 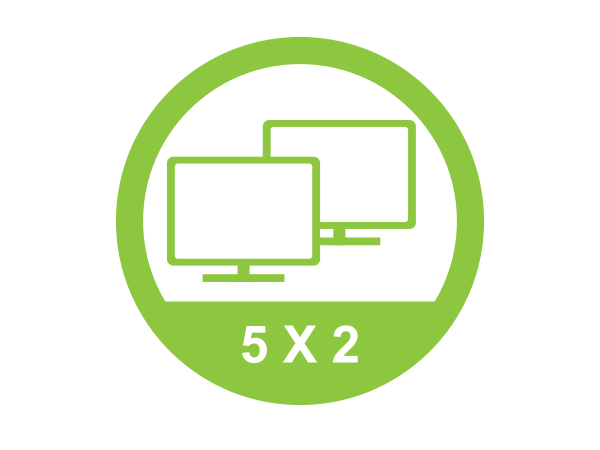 Expand beyond one wireless display to multiple wireless displays with the Multicast feature. 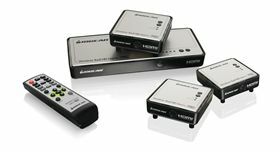 Simply add up to 3 additional wireless receivers* broadcasting to a total of 4 wireless receivers from the same HD video source. 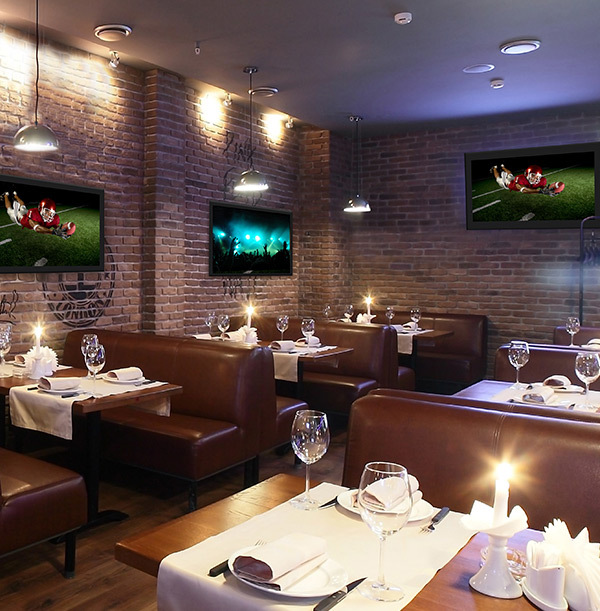 This makes it an ideal solution for distributing HD video for retail advertisements, cinema concessions and fast food menus, sporting event parties at home or in a sports bar, and more. *Additional wireless receivers sold separately. Visit the GWHDRX01 product page for more information. 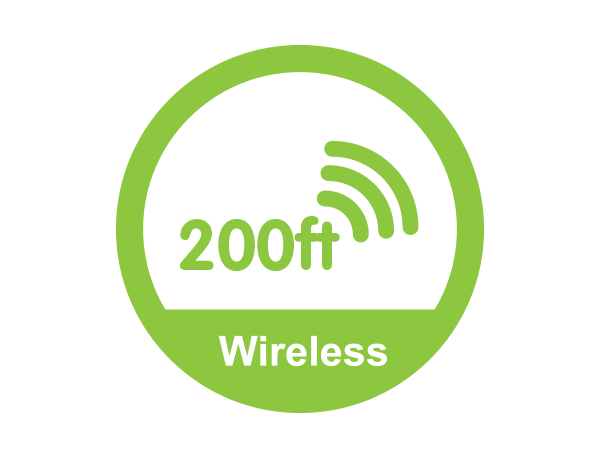 Wirelessly transmit full uncompressed HD content to an HD display up to 200ft away with less than 1ms of latency. 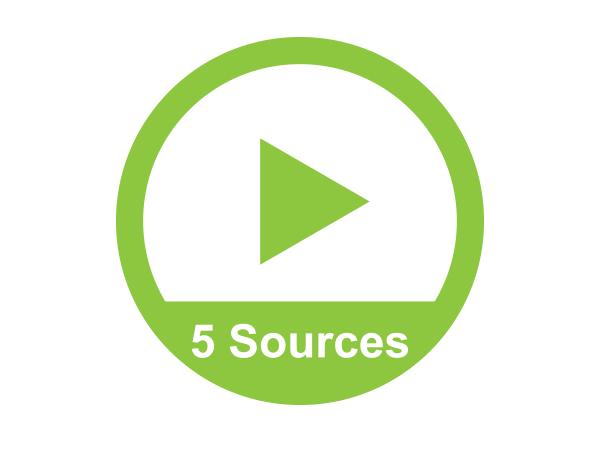 Switch and independently select any 5 HD sources between to 2 zones, one source displayed locally on an HDTV and another source wirelessly transmitted on up to 4 HDTVs. 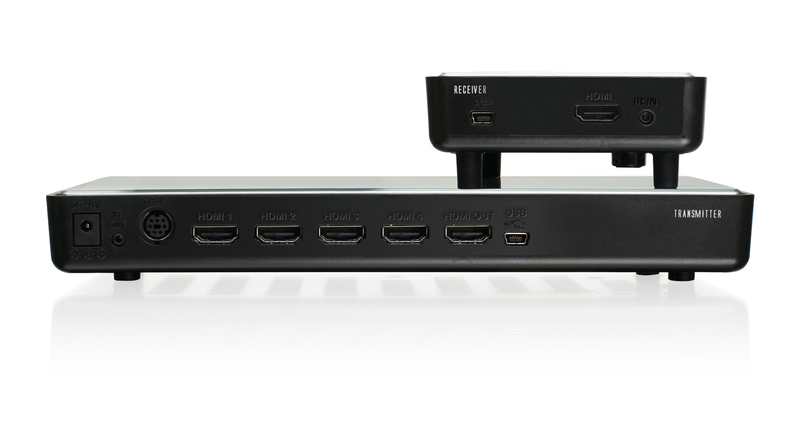 The Long Range Wireless 5x2 HDMI Matrix PRO does not require a line-of-sight placement, keeping A/V devices neatly out of sight, which enables a quick, simple, and flexible wireless HD audio/video solution. Take re-decorating, retrofitting and designing to a new level of creativity and convenience. 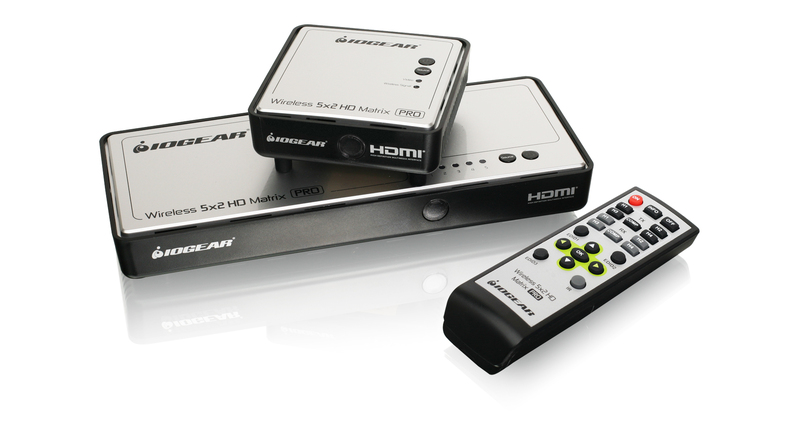 Setup your A/V equipment in a media closet or office and transmit to your HDTVs wirelessly. Send video through walls, doors and floors without the cost and the hassle of wires, turning your office, retail store, sports bar, waiting rooms, house of worship or living room into a fully customized, easy to work with, media center. While at home, have you ever wanted to set up another HDTV in the bedroom, kitchen, den or patio? Now you can have an HDTV in almost any room of the house. Set up the HDTV in the back patio for sporting events while the kids play video games or watch a Blu-ray movie in the living room! 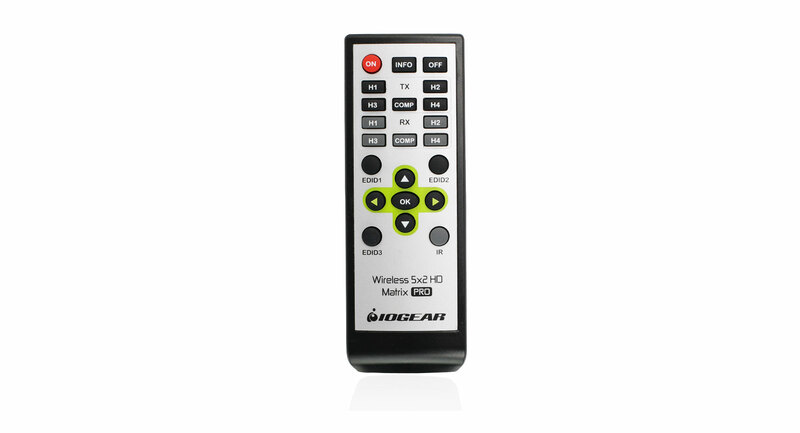 The discrete remote was specifically designed with installers and prosumers in mind. Each of the Matrix’s functions has an individual button dedicated to it, making easy to integrate functionality into existing Universal Remotes or Home Automation systems. 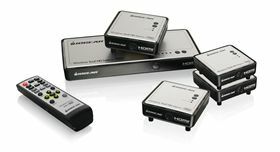 With the IR pass-through feature, use remotes from your current video devices to control your DVD / Blu-ray players, DVR / Cable boxes, A/V receivers and media streaming devices such as Apple® TV and control them from where ever your HDTV is located. You can hide your equipment in another room while controlling them as if they were in the same room. When using different video displays with varying resolutions in your setup, EDID management makes it easy to find the best resolution to work with all your displays. The default EDID resolution setting is 720p to ensure HD video on every initial set up. The PRO unit provides three (3) EDID management modes for the best installation every time. This gives flexibility and power for any install or end customer’s desired set up. EDID 1 Mode: Changes the default setting to 1080p Full HD. EDID 2 Mode: Refreshes the screens and sets the highest common resolution of ALL the connected displays. EDID 3 Mode: Restores the factory default video resolution back to 720p. 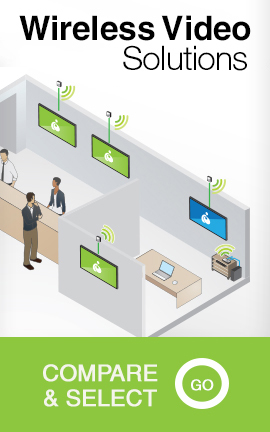 **Expand beyond one wireless display to multiple wireless displays with Multicast capabilities. 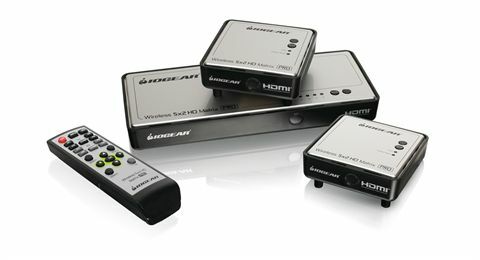 Simply add up to 3 additional wireless receivers broadcasting to a total of 4 wireless receivers from the same HD video source.